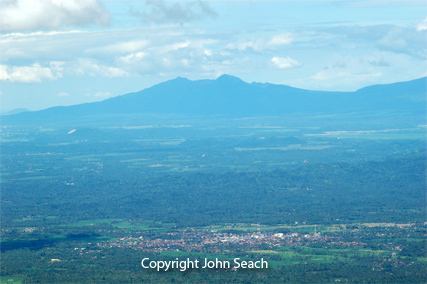 The double volcano is located in SW Sumatra. Sekincau and Belirang are located 3 km apart. Belirang-Balak is a double caldera located in the NW and has a diameter of 2 km. Sekincau cone has a crater with diameter of 300 m.
Solfatara and warm water lakes are found on the caldera floor and eastern and SE outer slope of Balak caldera. No recent eruptions at the volcano.